The face often shows some of the most visible signs of aging and though these changes appear gradually, they can impact the way you feel about yourself and a facelift (rhyditectomy) may help you look younger and more refreshed. A facelift tightens underlying facial tissues, removes excess fat, and smoothes loose skin on the face and neck, offering a fresher, more youthful appearance. This procedure can improve the deep cheek folds, jowls and loose, sagging skin around the neck that appear with age. The term facelift does not represent a single procedure but rather a variety of options which will be planned to suit individual patients’ needs. There are several additional procedures which may be carried out in combination with the facelift if required, such as brow lifting, eyelid surgery, liposculpture beneath the chin, augmentation of the chin or cheek bones and treatment for fine wrinkles around the mouth in the form of dermabrasion or chemical peel. The operation is designed to give a natural, fresh look and will not produce a tight, mask-like appearance. Some lines of expression are essential in every face and these, of course, will remain. The scars are placed mainly within the hairline and are designed in such a way as to allow you to wear your hair in virtually any style that you choose. 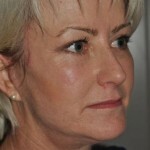 The question asked most frequently by patients is “how long does a facelift last?”. The answer is that this type of surgery puts back the ageing clock but, of course, cannot stop it. The rate at which ageing continues varies from one patient to another and will depend also on how carefully the skin and facial tissues are cared for. However, a facelift in most patients, will give a pleasing improvement in appearance for many years. It is essential that you follow the recommendations as outlined to reduce the risk of complications and maximise the final cosmetic result. Vitamin C may be helpful in reducing bruising and it is advisable to take 500mg of Vitamin C twice a day for at least one week before the operation. Hair tinting may be continued until one week before the surgery. When you come in for your consultation my staff will go through the pre and post operative programme I have put in place. You will find that it is easy to follow and encourages faster healing and aids skin tone. Avoid Aspirin, or products containing Aspirin, for at least two weeks before surgery to minimise bleeding and bruising. Anti-inflammatory drugs for arthritis and joint problems should also be stopped. Avoid Vitamin E, or multivitamin preparations containing Vitamin E (alphatocopherol), for a minimum of seven days before surgery as it can increase capillary bleeding. Avoid sunburn two weeks before surgery. Avoid alcohol for at least one day before surgery, and preferably longer. Avoid smoking and smoky atmospheres for two weeks before surgery and one week afterwards. A facelift is considered a major operative procedure and may take up to 4 to 6 hours to complete when combined with other procedures such as eyelid surgery, neck lift and lip peel. Facelift surgery may be carried out under either general or local anaesthesia with sedation. From a practical point of view there is little difference since the general anaesthetic employed is very light and local anaesthetic is always used both to reduce bleeding at the operation and to avoid pain. Whether general anaesthesia or sedation is used I employ the services of a skilled anaesthetist since there is no doubt that this makes the procedure very much safer than when the surgeon handles both the surgical aspects and the sedation. This necessarily adds to the cost of the operation somewhat but I believe that from the patient’s point of view it is a very worthwhile investment. I do not shave the hair at all. It is prepared with hair gel and ties at the time of operation. Most patients remain in hospital overnight following the operation but it is possible to carry out facelifting as a day case providing that additional procedures are not being performed at the same time. Do not lie flat, even to sleep, because this position will aggravate swelling. Keep head elevated at all times on two or three pillows for the first 72 hours. Position the pillows so that the head is extended rather than bent forwards. Stay out of the sun and the heat. You should try to rest and relax as much as possible for the first 48 hours and then return gently to normal activities over 7 to 10 days. Avoid excessive facial movements i.e. laughing, sneezing and coughing. You should not drive for the first week following surgery. Do not bend down or forwards. If you need to pick up something from the floor, lower yourself to the ground by bending your knees, keeping your head up and level. Avoid exercise or any activity which could elevate your blood pressure. Avoid constipation. Avoid salty food and alcohol as this will aggravate swelling. Avoid very hot baths, very hot drinks and very chewy food for one week after the surgery. Avoid reading as looking down is not a good position for the head and neck. You should avoid strong sunshine for three months and use a sun screen (SPF15+). There will be a light bandage over your cheeks and neck for 12 -18 hours after surgery. I try wherever possible to avoid using drainage tubes. You will be nursed in a semi-sitting position in bed immediately after the operation. There is usually little or no pain but your face will feel tight and you may have some neck stiffness or a headache. The dressing will be removed on the first post-operative day and your hair carefully washed by the nurse. At the time of your discharge from hospital you may wish to wear a light head scarf and/or dark glasses. You should expect some swelling and light bruising which reaches its peak by the second or third day and this usually settles during the first 7 to 10 days but it is wise to leave 2 to 3 weeks clear in your diary since the time taken for swelling to subside is very variable from one individual to another. It is not uncommon on the third to fifth day after any major surgery to feel some post-operative depression. You should wash your hair in the shower daily or on alternate days and you may at this time notice some apparent hair loss. This hair, in fact, is that which has come from the skin which is discarded at the operation. Avoid using the hot setting on your blow-drier. This is of utmost importance if any areas of numbness, especially around the ears or temples, are noted. Do not wear earrings until sensation has returned to your earlobes. During the first 6 to 8 weeks after surgery the face (and eyelids, if they have also been operated on) may feel a little tight. This is usual and related to residual swelling and scar maturation. Once the stitches have been removed warm water compresses may make this feel easier. The cheeks will feel relatively numb for up to 3 months after the operation; this is quite usual and recovers spontaneously. You may visit your hairdresser after 10 days but no bleach-based colourants should be used for 6 weeks. The stitches in front of and behind the ear run beneath the skin and so are not visible except at either end; they will be removed after one week. Fine staples may be used to close the incisions in the scalp. If eyelid surgery has been carried out, these stitches are removed after 3 days. You should not expect instant perfection. The facial contours will go on improving over a period of 6 months or so. Most scars take three months to reach their full strength and during this period are red, slightly raised and may be itchy. They then fade and flatten until they become fine, white lines. The scar maturation process usually takes nine months to one year, but is very variable according to individual skin types. Fair haired, fair skinned people tend to make more prominent scars. These are fortunately uncommon. Some blood or fluid may accumulate under the skin and may occasionally require minor surgical treatment. The discolouration caused by bruising beneath the skin may take several weeks to clear. Infection is extremely uncommon in the face – medical advice should be sought if redness and inflammation of the skin develop. Numbness of the cheeks is to be expected for 3 months or so. Areas of skin or hair loss are possible but uncommon. Nerve damage, although a recognised complication, is rare. The scars behind the ears may become lumpy, itchy and stretch. There is no doubt that successful facelift surgery has an enormous impact on self esteem for patients both socially and professionally. The high quality, precision surgery will give you a result that looks natural and harmonious. I have found that my patients who are the most satisfied are those whose surgery is never recognised by other people but who now enjoy more frequent compliments on how good they look. The major concern patients voice about their lips is a desire for more fullness. A secondary concern is the size of the upper lip relative to the lower lip. 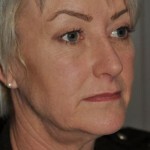 The lip enhancement techniques create greater fullness and roundness. They also restores youthfulness in the older patient. The major concern patients voice about their lips is a desire for more fullness. A secondary concern is the size of the upper lip relative to the lower lip. You should decide what you want to achieve and describe this to me clearly. The lip enhancement technique that I use creates greater fullness and roundness. It also restores youthfulness in the older patient. It is the procedure of choice for younger and older patients provided the lip tissue is not unusually thin. The procedure takes about one hour for upper or lower lip. A local anaesthetic is used and the procedure is done in the theatre at my rooms. The incisions involve making three to four V shaped cuts on the inside of the lip and stitching the tissue in a new position. Dissolving stitches are used. This technique goes a long way towards solving the problem of facial balance. It is possible to create a uniform fullness of the entire upper or lower lip and the incision is hidden inside the mouth. Small irregularities of the lip following trauma or cleft lip repair can be improved with this technique. Following this procedure the lip will be swollen – considerably more swollen on the following day. Iceblocks or frozen facecloths held to the lip will help reduce swelling. It will probably be a full week before swelling diminishes enough to “look normal”. In some patients the swelling takes up to two weeks to disappear. In the first two to three weeks the patient experiences difficulty in moving his or her mouth – this is part of the post-operative process and is caused by the tightness of scarring together with the post-operative swelling. Although no one except your dentist will be able to see the scars you will be able to feel them with your tongue. Eyelid puffiness, drooping upper lids or fine wrinkles around the eyelids can make people appear tired, sad, or older than they feel. If you are unhappy with the appearance of your eyelids, cosmetic eyelid surgery (blepharoplasty) may offer the improvement you seek. Eyelid surgery can remove drooping skin and excess fat of the upper eyelids, reduce under-eye bags and tighten the lower eyelid skin. Excess tissue above and below the eyelids tends to make people look and feel old and tired. Skin laxity and excess tissue is often associated with swelling of the underlying fat and muscle. Excision of redundant skin, muscle and fatty tissue in the upper lid helps to produce a more wide-awake look, whereas the removal of excess fatty tissue and the wrinkled skin of the lower eyelid has a rejuvenating effect on the face. Puffiness of the lower eyelids or “eyebags” is caused by swelling or growth of fatty tissue behind the muscle in the lower eyelid. This becomes more apparent in men and women with age. It may become noticeable earlier in women who retain fluid premenstrually, after crying, or in people suffering from thyroid disease. Swelling of the fat below the eye stretches the overlying muscle and skin so that it becomes loose and wrinkled. This swelling is often more apparent in the morning because fluid, which accumulates in the fat around the eyes as you lie flat, has not had time to disperse. For this reason, it often looks worse after a late night. This accumulation tends to dissipate as you move about. These are caused by skin ageing which leads to skin laxity. The skin may also be stretched by underlying fat and muscle action. The eyelid muscles can also be thickened by screwing up the eyes as in bright sunlight. Both the excess fat and thickened muscle can be corrected at the same time as the skin is redraped to produce a smoother appearance. Excess skin is also removed. Loose upper lid skin can impair vision an produce a tired look. Laxity of the upper lid caused by looseness of the skin itself can be corrected by blepharoplasty, but if it is caused by heaviness of the eyebrow or forehead a browlift may be a more appropriate procedure. Most people requesting blepharoplasty are in their middle years. 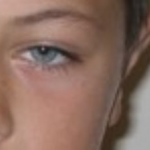 Young people with an inherited problem of lax upper or lower lids, or fat herniation (fatty bulge), may seek treatment. People who are blind in one eye, or who have greatly diminished vision in one eye, are generally advised against surgery in case the normal eye is damaged during the operation. A consultation is necessary to find out whether the problem involves the upper or lower lids, or both. As well as establishing what will be the best procedure for you, complications and risks are discussed during this consultation which will take around half to three quarters of an hour. 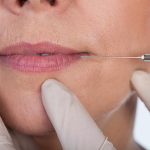 The consultation will also cover the ‘mechanics’ of the procedure, what anaesthetic will be best for you, and any questions you may have regarding the procedure. The blepharoplasty procedure can be performed under local anaesthesia, which numbs the area, combined with a sedative to make you drowsy. You’ll be awake but relaxed, and will feel minimal discomfort. We will decide the best type of anaesthesia during the consultation. Expect day-stay treatment if you are having either upper or lower lid surgery. You may need an overnight stay in hospital if you are having both lids treated. Complete rest is essential for a couple of days after surgery, and you will need eyepads on your eyes overnight to rest the eyes and cooling pads for two days afterwards. Dark glasses may be needed for two to three weeks to disguise any bruising. You should avoid eye make-up for a week to 10 days as this may irritate the eyes. You will have stitches removed five days after surgery. Thin scars may be noticeable for a short time, but soften quickly and can be readily covered with makeup. We will monitor this with you post-operatively. If you are a suitable candidate for surgery at 6 St Vincent Avenue the price range for upper blepharoplasty surgery is $4,500 to $5,500 and for lower blepharoplasties (which takes longer) the price range is $5,500 to $6,500. Your procedure will be carried out with local anaesthetic either with or without sedation. If you need more information and would like to talk to us about your requirements please contact the practice. As we get older our fat content in the face, especially the mid face and chin area loses some volume, which makes the skin look saggy and loose. 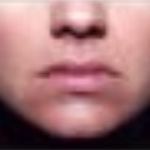 The cheeks look sunken and in the chin area “jowling” appears. The whole face can look older and tired and a similar appearance is evident in people who lose a significant amount of weight. To regain a more youthful look and add volume to the midface fat can be taken from a different part of the body (typically the abdomen and thighs) and transferred into the areas where required, giving more volume and improve skin texture to restore and rejuvenate the face and neck. I use an advanced, innovative technique of fat grafting which uses your own fat to restore volume. This involves fat grafting through a gentle low pressure harvesting method, purification process and re-injection technique. Fat is usually removed form the abdomen, hips or thighs and put into certain areas of the face, especially the areas where additional volume is required such as under the eyes, the nasolabial folds, cheeks, lips and pre-jowl hollows. This is usually carried out using local anaesthetic and IV sedation (unless combined with a longer procedure for example a facelift) on a daycase basis. Fat grafting appeals to a lot of people because it is minimally invasive and does not require traditional facial incisions. Another advantage of fat transfer is that the body does not reject it. In addition to the usual post operative risks (such as soreness, swelling and bruising) a level of fat resorption is expected after the procedure as a percentage (30-50%) of the transferred fat does not survive. As a result of this the procedure is often ‘staged’, and a further procedure may be required to produce the desired results. Your face will look fuller and more youthful following your fat grafting procedure. At first you might notice some localised swelling which will settle down within 1-2 weeks. Since this is a minimally invasive procedure it can sometimes be performed under local anaesthetic in the office surgery, which keeps down costs, reduces downtime while no lengthy time is required away from daily activities. Makeup can be reapplied post operatively and if any bruising has occurred. Concealer or foundation can be applied to the affected area. Most patients undergo otoplasty, or cosmetic ear surgery, to reduce the size of large ears or have prominent ears “pinned back” closer to the head. Most otoplasty procedures are performed on children between 5 and 14-years-of-age although ear surgery can be performed to reshape adult ears as well, to increase self-esteem and improve appearance. This procedure reshapes the ears or corrects prominent ears so that they lie flatter against the head. Prominent ears can cause anxiety whether the patient is a child or an adult. Experience has shown that psychological reassurance seldom makes the person with this problem feel any better, so early surgery is usually recommended. There is no reason why an ear correction operation cannot be carried out just before a child starts school or soon after. Conversely, there is no reason why this procedure cannot be carried out on an adult patient of mature age. If the patient is a child or young person they must be involved in the decision-making process with his or her parents. It is important to distinguish between ears which are prominent and ears which look unnaturally big. Children’s ears often look unnaturally large until the skull is fully grown so operations to correct this appearance are inappropriate. In some cases, the ear cartilage does not develop with the usual folds, so the ears protrude at an angle from the head. The ears can affect the choice of hairstyle and frequently affect a person’s lifestyle to the extent that he or she may avoid swimming because their ears protrude through their wet hair. At first it is the parents who are concerned that their child may be teased at school and may ask to have their child’s ears corrected. The technique currently used for prominent ear correction uses incisions behind the ears. Through these incisions the ear cartilage is reduced in size and missing folds are created. The operation will largely correct the obvious prominence of the main body of the ear but there may still be a tendency for either the lobe, or the top of the ear to protrude further from the head than the middle part. Every effort is made to avoid this type of protrusion but sometimes it is unavoidable because of inherent differences in the texture of the cartilage framework of the ear. The ear correction procedure is often done in a day stay facility using local anaesthetic. The surgery usually takes about two hours. For a very young child a general anaesthetic would be used and the procedure would be done in an overnight facility. The ears are covered with dressings and the head bandaged for about a week. Some padding is needed over the ears at night for the first two or three weeks to avoid the ears being displaced. Sutures are left behind the ears for a week to 10 days. Complications are unusual with ear correction surgery. Infection is rare but may occur if there are retained blood clots beneath the skin. Scarring is inevitable but the scars behind the ears usually soften and become barely noticeable. Dark-skinned people have a greater tendency to produce heavy scarring. If you look carefully at the ears after the operation one ear may appear to be a slightly different shape to the other. However, this is not usually noticeable to other people, as few people look at both ears simultaneously, or compare their shape unless there is an obvious deformity. In fact, few people have two identical ears. If you are a suitable candidate for surgery at 6 St Vincent Avenue the price range for bilateral otoplasty surgery is $5,750 to $6,750. Your procedure will be carried out with local anaesthetic either with or without sedation. If you believe your forehead is preventing you from looking your best, a forehead lift (or brow lift) may offer you the refreshed look you seek. A forehead lift can diminish horizontal creases across the forehead, correct sagging or low-positioned eyebrows, and erase angry-looking frown lines for a more relaxed look. The browlift operation corrects the heavy overhanging folds at the outer half of the upper eyelids and lifts the outer parts of the eyebrows. It also improves the creases on the forehead and the central forehead frown lines. A browlift creates a marked rejuvenating effect on the face by opening up the eyes and producing a much more wide-awake look. Endoscopic surgery applies the principle of minimally invasive surgery to the browlift, reducing scars numbness and hair loss. Most people have the operation to get rid of the overhanging folds at the outer half of the upper eyelids and the heavy droop of the eyebrows. 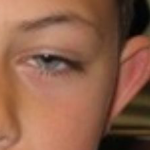 These heavy folds cause a dragging feeling in the eyelids and eyebrows, and frequently cause headaches because the frontalis muscle is in a state of constant contraction to lift the eyebrows. It is now accepted that in some people the standard upper eyelid blepharoplasty operation does not fully correct the excess or redundant tissue in the outer half of the eyelid. This is because some of the skin laxity in this part of the eyelid may be due to redundant skin from the forehead or eyebrow, rather than the eyelid skin itself. 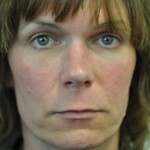 Some people have a browlift to eliminate forehead and frown lines at the same time as a facelift. 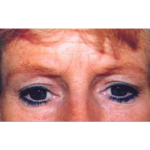 A browlift has no effect on the lower part of the face – around the cheek folds or the jowls over the lower jaw-line. You should expect to stay in hospital over night when you have this procedure and you should allow 10 days before returning to work. The operation is performed under general anaesthetic and usually takes two hours to complete. To minimise swelling after surgery you will be kept in a sitting position overnight. It is important for you to try to maintain this position as much as possible during the following week to 10 days, until all the swelling has subsided. At first there may be some swelling of the eyelids but this generally settles quickly and clears within a week. There should be very little pain after the operation. You should be well enough to have someone drive you home the day after surgery. At first there may be some numbness of the skin on the forehead. This improves within the first few weeks. Very occasionally there may be some weakness of the forehead muscles, but again this normally rectifies itself within a few weeks. As a brow lift tightens the forehead there is an exaggerated elevation of the eyebrows for two or three weeks after the operation. The eyebrows come down to an acceptable level within a couple of weeks and the forehead will look smooth without looking unduly tight. Gradual movement returns to the forehead. 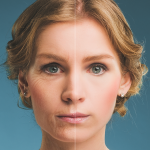 As we age, changes occur at different rates to our upper, mid and lower face. In the upper face, ‘dynamic’ lines appear in the forehead and around the eyes when we smile or frown. These lines appear because various muscles contract to form different facial expressions. Over time the lines get deeper, even when the face is relaxed. 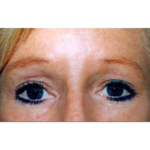 These dynamic lines can be erased using non-surgical treatment called Xeomin®. Xeomin® relaxes wrinkle causing muscles to help refresh your facial appearance, without affecting the normal facial expressions and lasts 4-6 months. For more information in regards to unit price and your suitability for Xeomin® please contact the Practice Nurse. These dynamic wrinkles can be erased using non-surgical treatment. The treatment allows the overlying skin to remain smooth without affecting the normal facial expression and lasts for four to six months. Please phone or contact my rooms for advice on treatment for Frownlines & Crowsfeet.